Article 7 | No Legs, No Arm, No Problem! Race For The Wounded Article 7 tells two stories. 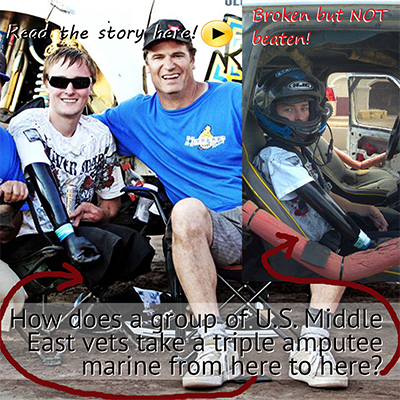 One is the exciting tale of how Race For The Wounded trained their first veteran to participate in an off-road race. 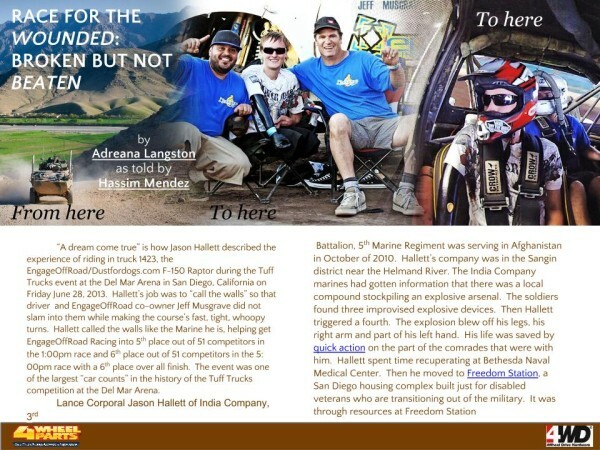 Triple Amputee veteran Marine Jason Hallett raced in the Tuff Trucks competition on June 28, 2013 in San Diego. 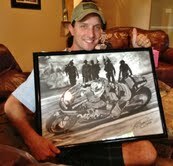 Jason was in the co-driver seat of Jeff Musgrave’s Ford Raptor racing for Team Engage OffRoad. 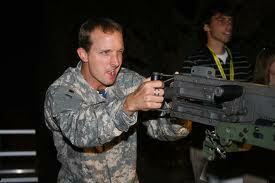 It was through Race For The Wounded that Jason got in that seat. 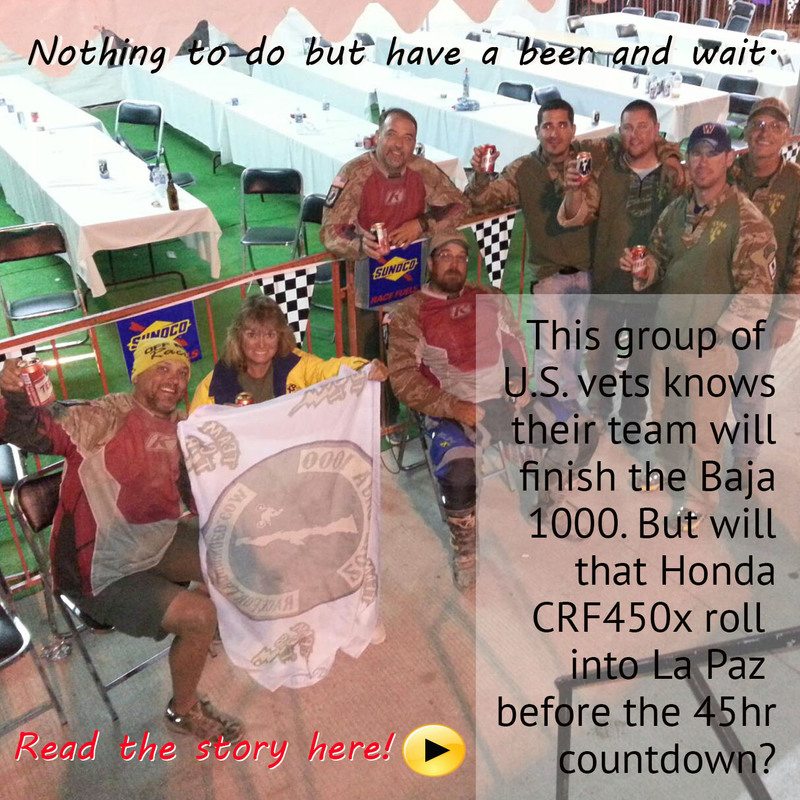 The second store tells the continued saga of Team TCB, a group of Iraq and Afghanistan veterans racing the Baja 1000 for the first time. The third stint started with Ed getting hit by a truck and left in the middle of the road and Brett riding at night, with no race light, in a hale of buggy dust. Read the entire Race For The Wounded Article 7 here.